Get involved with local HVACR programs to shape the future of the industry. The Bureau of Labor Statistics estimates the HVACR industry will grow by nearly 34 percent over the next decade while, at the same time, 31 percent of our workforce retires. As the HVACR industry tries to figure out how to recruit and replace two thirds of its workforce, the problem worsens — there are 78 million Baby Boomers set to retire and only 40 million Millennials to replace them. If the industry can recruit the same proportional share of the workforce as it has in the past, there will be roughly half as many people to employ in the future. The gap between the skills being taught and those needed continues to grow. ticket into the middle class." Recruitment is the easy part of addressing the workforce shortage — people want jobs. Training these new technicians is the real challenge. The need for education in the industry is imperative to success. Because of the disproportionate amount of qualified candidates to the number of jobs available, two thirds of the HVACR workforce in 10 years will be people not in the HVACR industry today. How many people do you need to hire and where will you find them? 85 percent will need to hire 1-5 technicians in the next year. 87 percent will need 1-15 technicians within 5 years. 63 percent will need 6-30 technicians within 10 years. How can we get more people interested in the HVACR industry? All too often, contractors visit high schools and try to convince someone who is already set on being a software engineer or something else to enter the HVACR industry. You can save time by focusing on those who have already expressed their interest in this industry. There are thousands of future technicians enrolled in HVACR programs across the United States. These future technicians have shown an interest in the industry, investing their own time and money in educating themselves. Unfortunately, many contractors miss out on the opportunity to hire them because most of the graduates are snagged by the small number of companies that participate in the schools' HVACR program advisory committee (PAC) meetings. HVACR programs are required to hold a PAC meeting no less than twice a year to satisfy accreditation requirements. All too often the meeting is treated exactly as that, a requirement they must satisfy. In doing so, instructors are losing a great opportunity to build their program. In addition, too few contractors actually participate in these meetings, which also contributes to a lost opportunity for better programs. A large and diverse PAC consisting of contractors, utilities, wholesalers and manufacturer representatives provides an opportunity that can lead to equipment donations, higher program enrollment, more employment opportunities for graduates and improved community relations. When PAC members understand the benefits to them in participating, they become ambassadors of the program that can drive recruitment and help the program grow. The PAC meeting should provide contractors an opportunity to see what a program covers — and those who participate in these meetings are given an opportunity to provide feedback on ways to improve the training and influence the program outcomes that can help strengthen their business. Another benefit of contractor involvement in the PAC meeting is to see what equipment and tools are used in the program. If the school is not teaching with the brands used by your company, you may decide to donate these items to aid future technicians in being trained on the brands you use. Most importantly, your involvement can save time and money in hiring the right people, as you will know more about the program and the students it serves. Contractors who participate in a program advisory committee are able to see future technicians in action and can evaluate talent, temperament and work ethic before graduation. 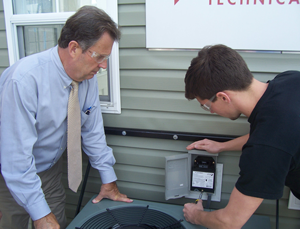 It is the goal of every school and HVACR program to get their students the best jobs available. PAC participation provides you a front row seat to see if students are a good fit for your organization. If they are, you have an opportunity to recruit them before another contractor offers them a position. Because the role of recruiting and training all of these technicians fall upon the industry's educators, your success is tied to theirs. In addition to joining a local PAC, here are two more ways you can support education within the industry. Donate to Local Schools. 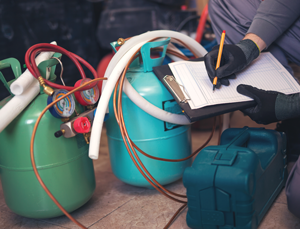 HVACR educators often do not have the equipment, tools and test instruments to cover everything they want to. You can help by donating these items to your local HVACR program. You'll benefit in the long run as studies show that students become lifelong customers of the products on which they're trained. Support Professional Development. Instructors participate in many programs and conferences to attain professional development and keep current on new technologies, regulatory updates, recruitment techniques and teaching techniques. 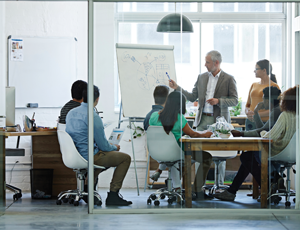 Subject matter experts are always needed to provide presentations and support for these professional development opportunities. In addition, success for HVACR educators is dependent on placing qualified graduates from their programs in lifelong employment opportunities. Working together, you can provide better opportunities for the graduates of these programs. This can lead to higher placement rates and higher starting salaries for graduates can result in more interest in the program itself. To truly fix something, you must be part of the solution — and that includes recruiting the next generation of HVACR technicians by supporting education in the industry. 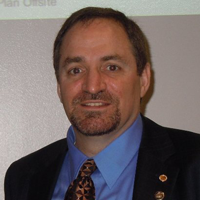 Howard Weiss is the executive vice president for ESCO Group, which manages HVAC Excellence, and has been involved in the trades for more than 25 years. In his current role he works with educators and trainers to develop custom training solutions for the individual needs of their training programs. For additional information, please visit www.hvacexcellence.org.